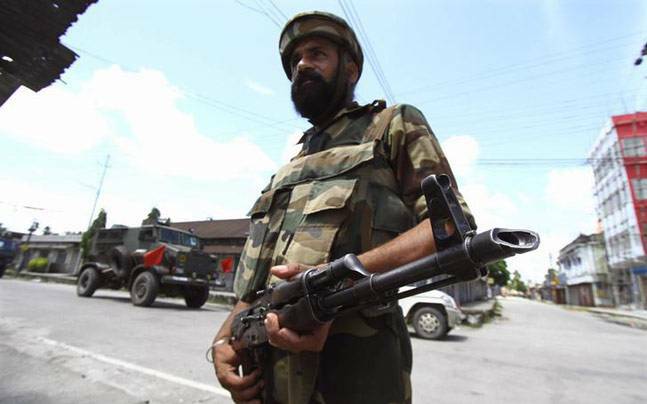 The entire state of Assam has been declared as a disturbed area under the controversial AFSPA for three more months. The Centre has declared the entire Assam as a “disturbed” area under the Armed Forces (Special Powers) Act — the AFSPA — for three more months, citing various violent activities by insurgent groups ULFA, NDFB and others. In a gazette notification, the Home Ministry said the entire Assam, besides bordering areas of Meghalaya, have been declared “disturbed” under the AFSPA for three months with effect from May 3. The ministry said there were 75 incidents of violence in Assam in 2016 in which 33 people, including four security personnel, were killed and 14 others were abducted. Besides, there were nine violent incidents in the state in which four people, including two security personnel, were killed in 2017. The violence were perpetrated by insurgent groups like ULFA, NDFB and others, the ministry said. The AFSPA has been continuing in Assam since November 1990. In another gazette notification, the ministry declared three districts of Arunachal Pradesh – Tirap, Changlang and Longding – besides areas falling under 16 police stations bordering Assam as “disturbed” area under the AFSPA for three more months. The home ministry cited the continuing violence perpetrated by NSCN(IM), NSCN(K), ULFA, NDFB and others as the reason for enforcing the AFSPA for three months beyond May 4. The AFSPA has been under force in the three Arunachal Pradesh districts since January 2016.